A Safe and Secure environment.. So are you looking for an experienced person to look after your children? Hello, my name is Debbie:) I would describe myself as mature,fun loving, conscientious, trustworthy & reliable with a chatty and bubbly personality. I live in South Farnborough,with my husband Gerry who also has been CRB checked,sadly I don't have any children of my own:( but I am step- mum to 3 children 2 boys & 1 girl they are all grown up and flown the nest! My husband and I live in a smoke free, happy,relaxed and welcoming home, very close to North Camp Station and 5 minutes from Farnborough main station. I believe that respect for others is important and I endeavour to teach children in my care good manners such as: "please and thank you",table manners and general good behaviour.I always deal with the matter of discipline firmly,but fairly,with the 'timeout' method( mat) and I would always discuss any issues with the parents.I have a natural empathy with children and I enjoy helping them to develop and of course to have fun! Meals: I do not provide meals on the premises so I do ask parents to provide breakfast, packed lunch, cooked tea (if time available)& snacks which I can re-heat if required. I firmly believe in varied activities such as : Arts and crafts, Toddler groups, Woody walks, farms, play dates with friends,Library for story time & choosing a book, Activity/ Soft play centres, cooking yummy cakes,(my speciality:) reading stories,music and just spending time in the home,will enhance children's development and expand their knowledge and confidence helping them to equip them with the necessary skills for life. On the occasions that I take the child/ren from the home environment, I am diligent to ensure their safety and well being at all times,whilst enabling them to learn and still be safe. I am part of a Nanny/Child minder circle a friendly and like-minded community of nannies and child minders with their children. I have a great passion for what I do, having spent many years as a Children's Nanny. I thank you in advance for taking the time in reading this about me, if it is of interest then please don't hesitate to get in touch. During my work commitments during the week I catch up on all my paperwork and messages on Fridays as I don't work them. So my apologies for the late response. I will reply to all who have kindly sent message and have shown interest in 'Debbie's Kidz Haven' Child minding Services. Working with Children is something I have always wanted to do from an early age. I started working as a school leaver in July 1975, at The Ockenden Venture, which is a home caring for a group of Vietnamese handicapped Orphans.I worked there for over 3.5 yrs,after leaving I started working as a Private Nanny,sole charge,daily position caring for a baby boy (James) he was 6 mths on start and I gained a formal qualifications in 1975 in the form of a Pre-school Foundation Course. 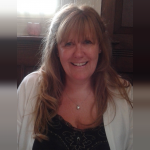 I have continued to work for numerous families over many yrs,looking after their children,during my working life I have had breaks from childcare,working in Administration ,due to Nanny positions where sparse due to the economic climate at the time. *Pre-School Assistant help in parents school rotas. *Cache Level 3 Diploma in Home based Child care. * Nursery/School drop offs & picks ups in the Farnborough area only ** not covering at the moment. Anytime worked out with agreed contracted hours,to be paid at an Enhanced rate. Mon -Thurs 7.30am -17.30pm if you do require child care outside of these hours, please don't hesitate to discuss this with me, I will do my best try to accommodate your requirements. reflects over 30+ years childcare experience. Below are the latest reviews for Debbie K. Please note that reviews represent the subjective opinions of other Childcare.co.uk users and not of Childcare.co.uk. Parents must carry out their own checks and references on childcare providers to ensure that they are completely happy before enaging in the use of their services. I'm so glad we found Debbie! We are so pleased we found wonderful Debbie - from the moment we met her we just knew she would provide the perfect care for our little girl. It's so special to see the relationship that she has fostered with our daughter from day one; Pearl always arrives with her arms stretched out for cuddles and we have to tear her away at the end of the day too! It has made it so much easier to be at work knowing that she is being cared for so well. They always have busy days and we love seeing the photos of Pearl at toddler groups, parks and playing with other children. Debbie makes lots of time for indoor fun and craft too which we always get to take home. The daily journal is great and always really detailed information about Pearl's day. We couldn't ask for more and thoroughly recommend Debbie! Debbie has looked after both my daughters between 2014-2016 and 2016-2018 and I can honestly say she has become part of our family over the years. From the very beginning Debbie has cared for and nurtured them both, providing fun filled days, plenty of activities-the girls have brought some beautiful items home for us to keep, and this also shows how Debbie’s caring nature has developed them into kind, respectful, loving individuals. They always looked forward to going each day and settled in instantly too. I wouldn’t hesitate to recommend her, she has been simply amazing and the girls miss their Debbie terribly. Debbie has been looking after my little boy for over 4months now. He was 8months old when he started to go to her house twice a week. I was very nervous leaving him and returning to work, but Debbie was so kind and considerate it made the whole thing a lot less stressful. I originally looked at nurseries early on, but now having been with Debbie, I can't imagine how much worse I would have felt leaving him in a room with 5…6…10 other little ones! I know that at Debbie's he has all the attention he needs, and while I'm at work, I know that he is safe, happy, and loved. I love how it has turned out for us. He is by himself for one day , so he gets aaaallll the attention and meets lots of new friends (Debbie sometimes meets up with other childminder friends and their little ones). The other day he is with her she also has two little girls in her care, who he adores watching play and run around. He will be chasing them soon enough! I chose to go to Debbie because of the fantastic reviews i read on this website and I'm so glad we did. I would definitely recommend Debbie and i plan to send baby number 2 in her direction when needed! My little girl has been with Debbie for nearly a year and a half and Arabelle just loves going to see her Debbie, she gets so excited when ringing the doorbell. Debbie is a kind and loving childminder and I am always at ease knowing that my little girl is being well looked after and having a wonderful time. Arabelle has learnt so much with Debbie for example taking her shoes and coat off at the door and being more independent at feeding herself at meal times. I get updates and photos throughout the week which always puts a smile on my face at work. We get a diary everyday so we are kept up to date with all of Arabelle’s activities. We are are very lucky we found this wonderful lady. It is so lovely to see my daughter so happy when she goes to Debbie three days a week. My husband and I wanted someone who would love and give our one year old the attention she needs to grow and thrive and we feel so wonderful that we have found that person in Debbie. We get updates and a journal of her progress day by day and get to keep projects that she has done in the day. I was a little worried about going back to work but me and my husband agree that we feel at ease knowing that Debbie is taking good care of our little one. We are so very happy.